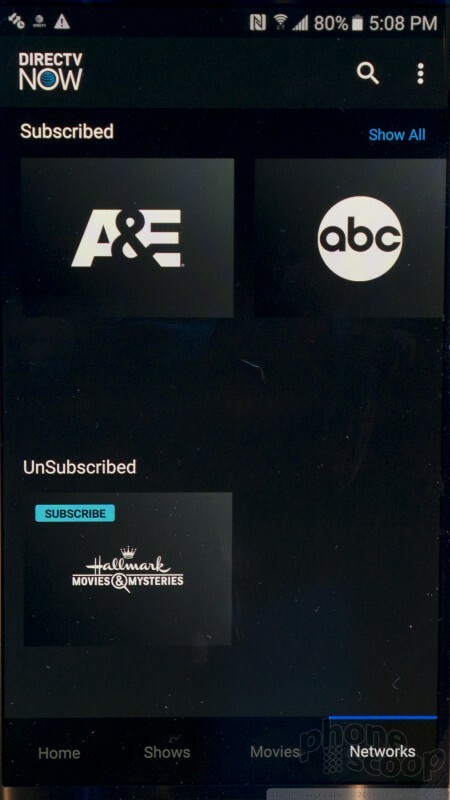 A quick hands-on tour of the DirecTV Now app for Android. (An iOS version also available.) 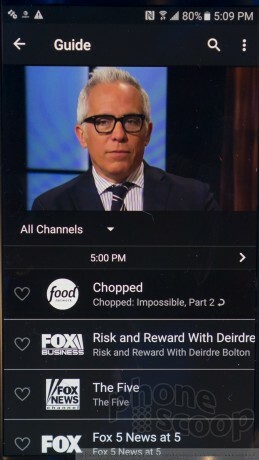 This is the boldest attempt yet to bring all of the major network and cable content to cord-cutters, and the full service is available from mobile apps, in addition to home streaming boxes. We took a quick look, and found a rich interface, but also a few annoyances. Read on for our impressions. 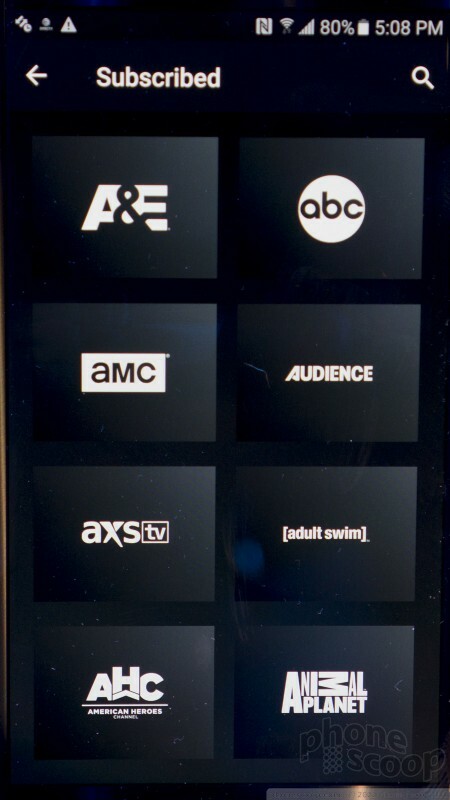 The interface for the DirecTV Now mobile app has a rich set of options. It's not quite the most direct, intuitive interface, but it's straighforward enough. Most people will figure it out quickly. It's a fairly obvious blend of Netflix and Hulu, but with DirecTV content, which is just like the content offered by any traditional cable or satellite service. That includes NBC, ABC, Fox, SyFy, FX, AMC, HGTV, USA, etc. HBO is an extra $5/month option. 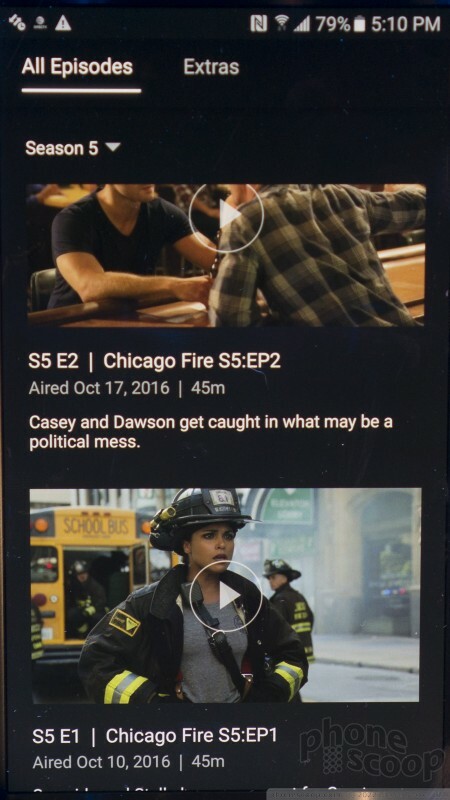 CBS and Showtime are not yet available, but they're working on that, and basically everything else is there. In other words, this is the new cord-cutters dream. Except, it's cutting the cord without cutting the cord, as you're still forced into old-style cable bundles of channels. If you want the Science Channel, for example, you'll need to upgrade to the more expensive package. If you also want BBC World News, you'll need a pricier package still. Want the movies on Starz and Encore? It'll cost $70/month, which hardly feels like cutting the cord at all. 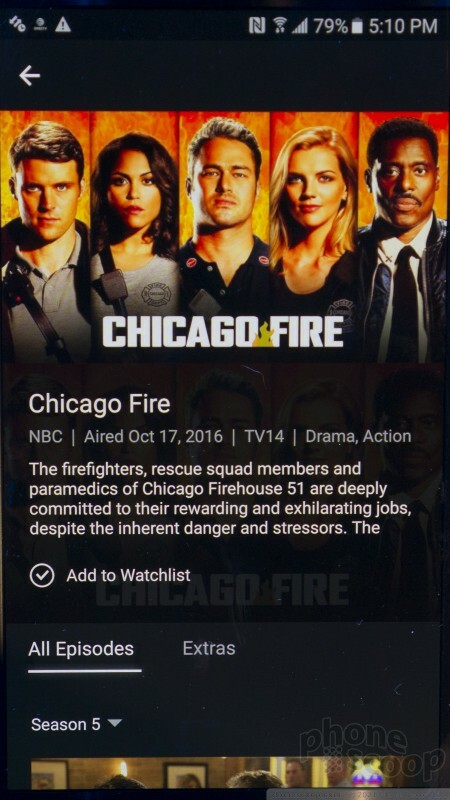 You can view live or streamed content, and the streaming content is much like "on demand" with any cable service. 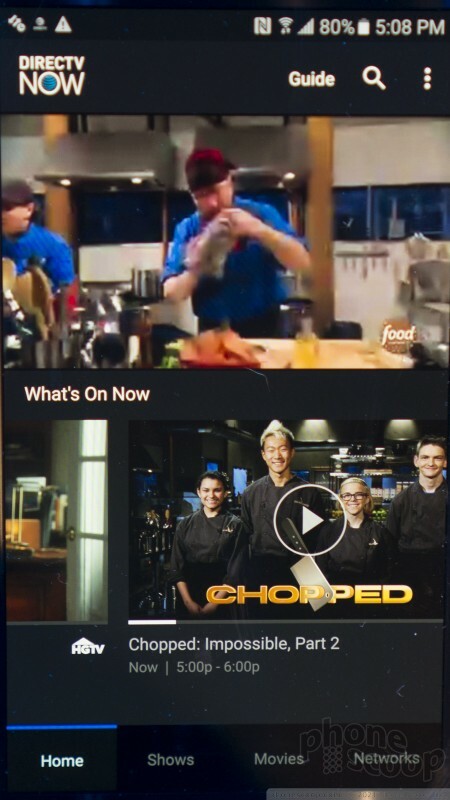 Most shows are available to stream 24 hours after they air. The interface is designed to be viewed in portrait (vertical) mode, and I couldn't find any screens that could also be viewed in landscape mode. The Guide is particularly ill-suited to portrait mode, and that's just one of the problems with the Guide. It scrolls poorly even on a flagship phone, (I tried it on the Samsung Galaxy S7,) and scrolling around frequently reveals large blank areas where you then have to wait (too long) for simple listing info to load over the network. 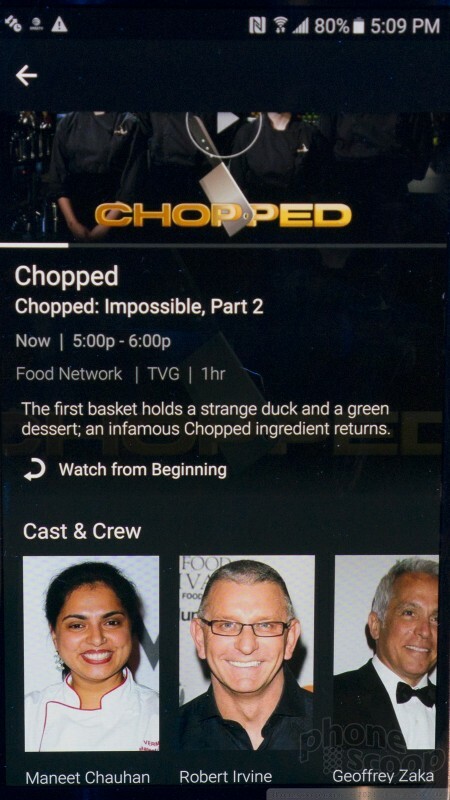 When you actually watch a show, it does switch to landscape mode, but since everything else is in portrait mode, checking out cast and crew info forces you to rotate your phone, as does backing out to browse the guide. 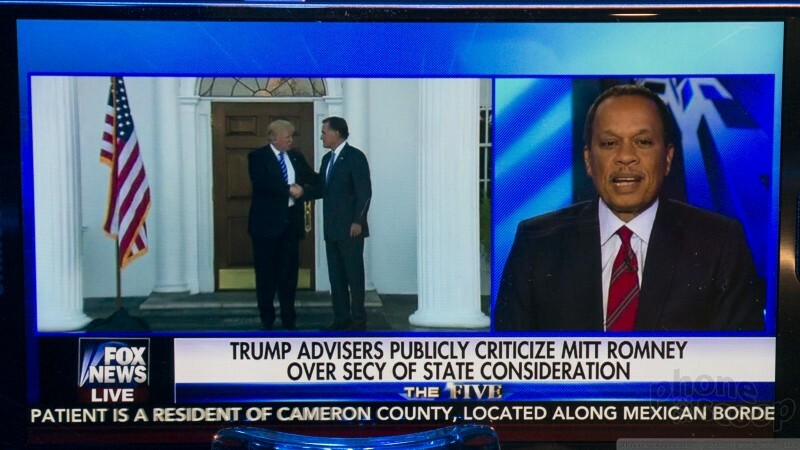 This gets old fast. Everything else about the interface is decent. It could be faster, but it's not awful. Shows take a couple of seconds to buffer when you start them, but I've seen longer. Most annoying are those "restricted rights" shows like you see on Hulu, where certain streaming controls are disabled. A very long and annoying warning proceeds such shows when you try to play them. The interface is not dense; most screens only show two or three large tiles per screen, which means a lot of scrolling to find what you want. Fortunately, there's also a search function, which is generally going to be your friend. DirecTV Now service costs less than standard DirecTV service. You can use it both at home and on your phone, but you're limited to two streams at a time, so a family of three could run into issues. What else are you giving up? You don't get 4K with DirecTV Now, nor do you get any premium sports. But those aren't the only ways DirecTV is offering this service for a relatively low price. They're also selling your viewing data directly to Nielsen, and doing some advanced ad targeting that's not possible on other platforms. By selling you, (or rather, your personal info,) AT&T and DirecTV can make some extra money. Fortunately, they're passing some of that on to you in the form of a cheaper TV service. You can sign up for DirecTV Now starting Wednesday. Plans start at $35/month and range up to $80 for the priciest plan plus HBO and Cinemax. A special intro. offer nets you the $60 plan for just $35. And if you prepay the first three months in advance, you'll get a free Apple TV, which is a pretty great deal. YouTube today launched its YouTube TV service in five major U.S. markets: Chicago, Los Angeles, New York City, Philadelphia, and San Francisco.